Warilla Bowls & Recreation Club has 19 fully self contained onsite cabins, 4 two bedroom units & 2 three bedroom houses all within walking distance to beaches, fishing and short distance to shopping centres and other leisure activities. Overlooking Little Lake to the Ocean, our holiday cabins provide 3 star AAA rated fully self contained accommodation to suit couples, families and work groups. Adjoining Warilla Bowls & Recreation Club, your stay will be complete with the clubs full facilities, Red Sands Bar & Grill & Cowries Café, free entertainment Friday and Saturday nights, Diamonds Reception Centre, Health Club, bottle shop, gift shop and lawn bowls shop. The cabins are fully self contained and can sleep 4 people comfortably, a futon in the lounge area is available for additional guest please contact Tourism Shellharbour for bookings of additional guest. The units are two bedroom sleeping up to six people with a queen in the main bedroom, bunk bed & single bed in the second room and a futon in the lounge area. 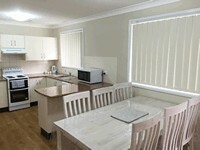 The houses are both three bedroom accommodating up to six people. From Shellharbour City Centre travel east on Lake Entrance Road towards Warilla. Turn right onto Shellharbour Road, continue for approx 1km and turn left into Jason Avenue, Warilla. Continue on Jason Avenue around to the Club. From Kiama - Follow Princes Hwy take the Shell Cove Exit from the Princes Hwy and turn right. Travel along Shellharbour Road and turn right into Barrack Avenue, Warilla at the double set of traffic lights. Continue down Barrack Avenue and turn left at the the roundabout into Jason Avenue. Continue along to the carpark and entrance to the club. Welcome to Warilla Bowls & Recreation Club. Please see the reception staff to check in. Fully self contained cabin with a double Bed + bunk bed can sleep 4 comfortably. (Futon in lounge area can sleep additional guest please contact Tourism Shellharbour for bookings). All linen provided, air conditioned, full bathroom and kitchen. Fully self contained cabin with 2 single beds + bunk bed can sleep 4 comfortably. (Futon in lounge area can sleep additional guests please contact Tourism Shellharbour for bookings). Fully self contained 2 bedroom unit. Queen bed in main room, bunk bed and single bed in second room, futon in lounge room. 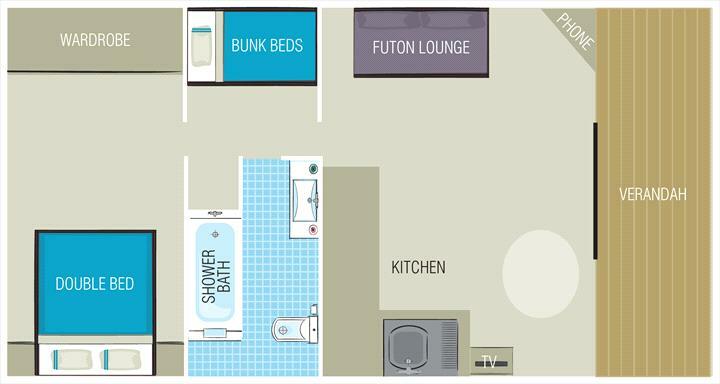 Unit has a bath and shower, air-conditioning, Foxtell. All linen included. Located next door to Lake Elliott House. Fully self contained 2 bedroom unit. 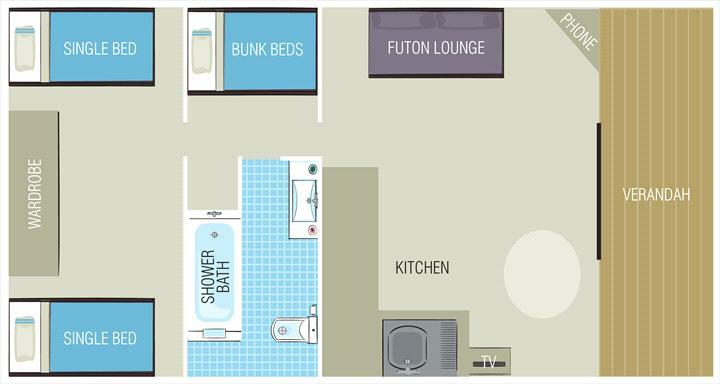 Queen bed in main room, bunk bed and single bed in second room, futon in lounge room. Unit has a shower (no bath) air-conditioning, Foxtel. All linen included. Located one house up from Little Lake Holiday House. 3 Bedroom House, accommodates 6 people. King bed in main room, 2 x king singles in second room(or king bed) & 2 x singles in third room. 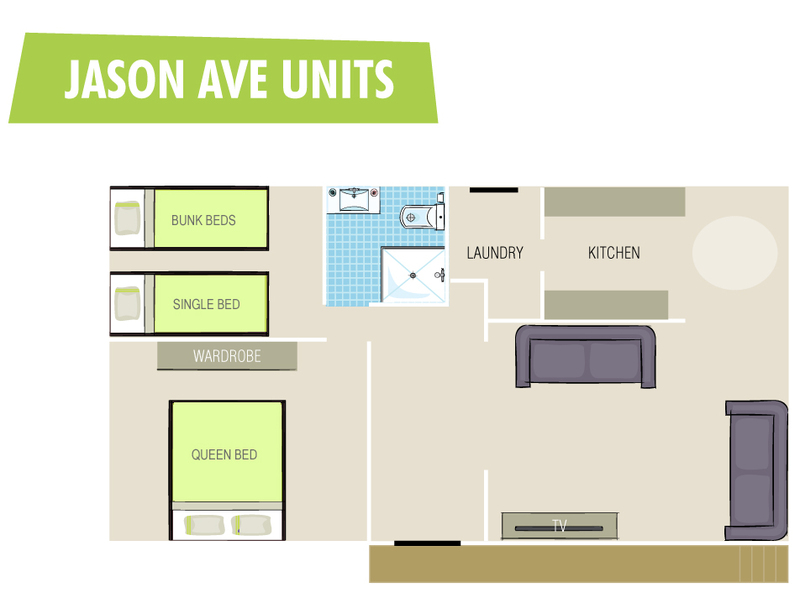 All linen included, air-conditioned, Foxtel, 2 x toilets, laundry, onsite parking. 3 Bedroom House, accommodates 6 people. King bed in main room, Queen in second room & 2 x singles in third room. We do not refund for early departure or cancellations. However if a cabin/unit is cancelled seven days or more prior to the arrival date. $100 can be transferred to a different date.